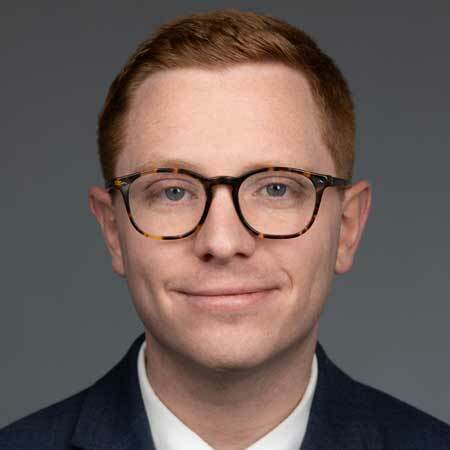 Hobart “Hobie” Webster is an associate practicing in the areas of labor and employment, municipal law/school law, administrative law, and appellate law. Hobie has spent his entire career working in government and serving government clients in private practice. After graduating from law school, Hobie worked in the U.S. Senate and the Pennsylvania Office of Attorney General. Hobie also worked in private practice as a municipal and school solicitor and for a large national labor and employment boutique prior to joining the firm. Hobie and his wife Jennifer, also a lawyer, live in Friendship. Hobie is the ninth great grandson of John Webster who served as Governor of the Colony of Connecticut in 1655. Hobie is Pitt sports fanatic.